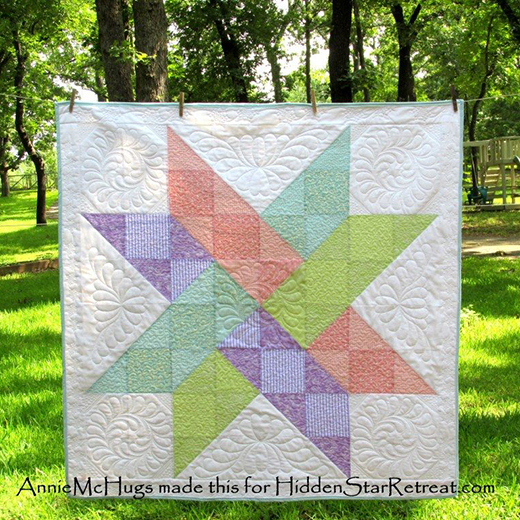 This Hidden Star Quilt designed by Annie McHugs of Hidden Star Retreat, The Tutorial is available for free. "So, Ta-Da, our first tutorial is the Hidden Star Quilt Tutorial. It’s so easy! It is nothing more than an 8 by 8 grid. Squares and HST (Half Square Triangles)"